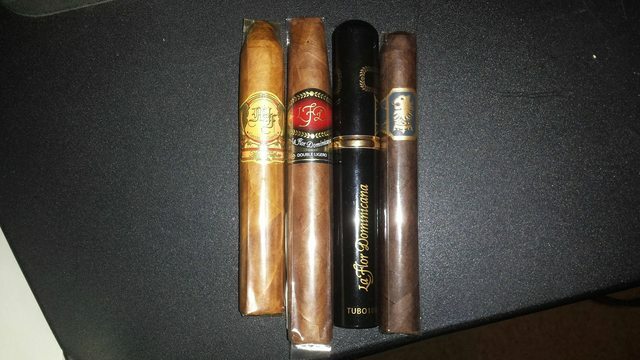 Got some T-52's and a Box of Bodega Digestivo Corona Gordas. Nice grabs fellas. Mickey....love to hear how those Sasparillos are (reviews look very interesting). And Thrak, same on those Uncuts. So, I got a few monetary gifts for Christmas and bought something for the whole family, something for each of the boys, and something for my beautiful bride. Thought I better spend a little of it on me before it is all gone. I have always like Davidoff smokes even though they are on the milder side, and they do smaller cigars as well if not better than anybody else. 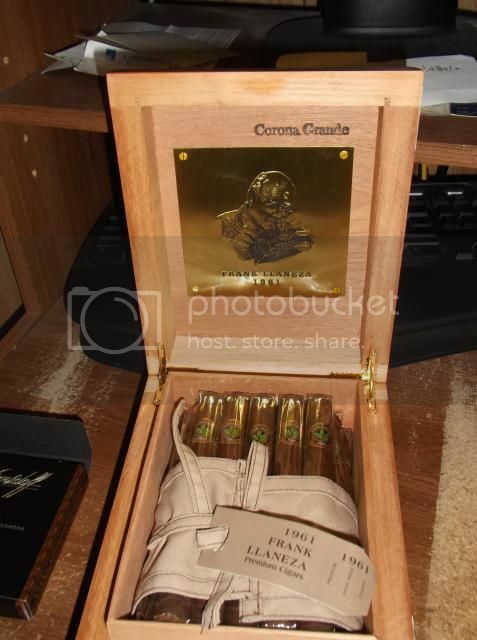 So, I've been eyeing up the new Nicaragua line for a while, so a 5er box of the Short Corona sounded like a good addition. 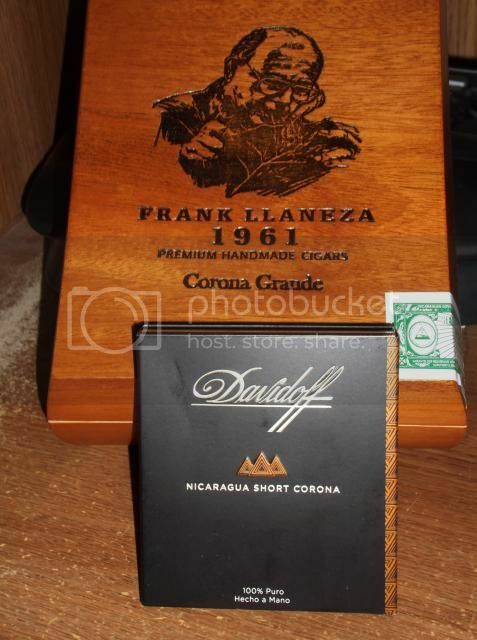 As for the Frank Llaneza 1961 Corona Grandes? 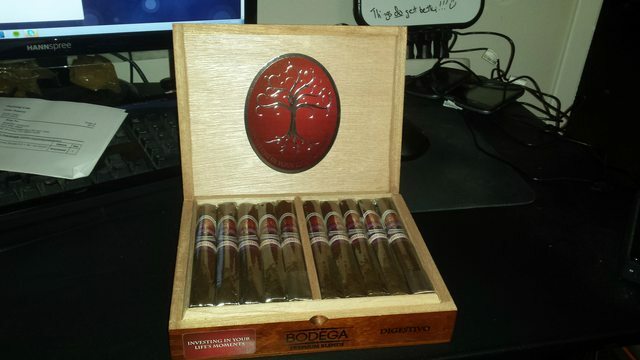 Well, I had a robusto sized version a while back and it was tasty, but a bit pricey. I got this box for a song. And I was not expecting the presentation quality packaging - way exquisitely cool. All in all, I think this will stand me good for purchases for a bit! Went to specs to look for some L-40's, they were out, but walked out with these. I almost passed out when I saw the color of the cello on that My Father. 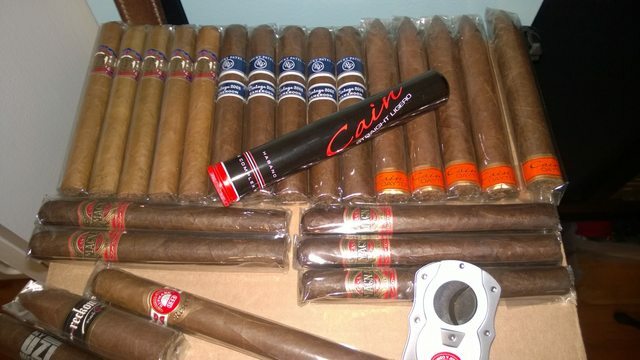 Both cigars I have seen a lot of in one of ny main B&M's I visit but never tried. 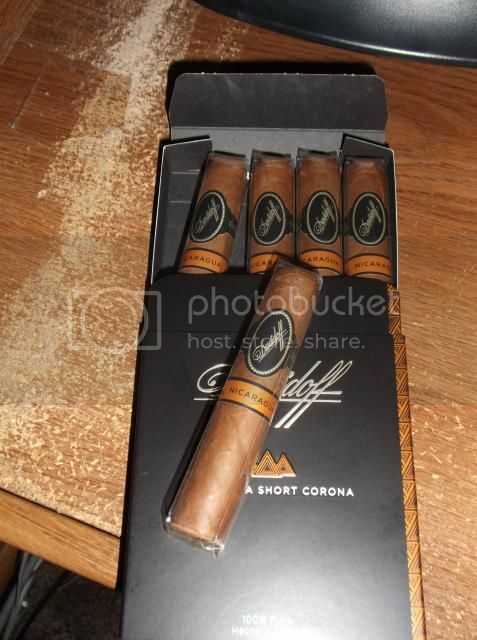 Love to hear your thoughts on the Davidoff Nicaragua especially. I will try to remember and do that. I spent way too much this morning, but couldn't resist. I went to a B&M I haven't visited before and they had a bunch of stuff I wanted. Not sure why my second pic is upside down. Well I've told myself this will be my last large purchase of the year, and I won't be getting any singles until at least May. 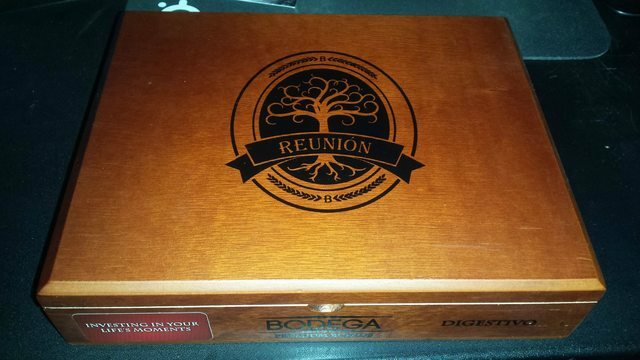 I'm thinking I might have to bust out the tupperware humidor again too looking at how full my real one is! Oh wow, some fabulous Tats! Picked up some new things to try and an old favorite as well. I picked up this Crowned Heads 6 Shooter Sampler from cbid. I've heard good things about them and I'd thought I'd give them a try! Last edited by Random Guy; 01-11-2015 at 01:29 PM. Hmm, I have never had any of those. What brands are they? ahhh.....I can't seem to upload a picture! Sorry! Last edited by Random Guy; 01-11-2015 at 01:46 PM. 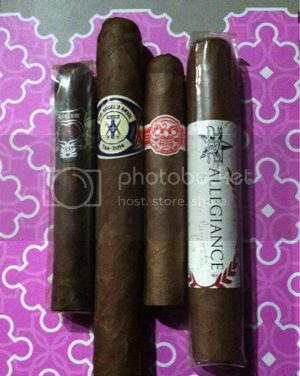 Asylum, Crowned Heads TAA Angel's Anvil, Room 101 and a 262 Allegiance. I've had the Asylum before but the others are new to me. The Asylum is tasty and the Room 101 is a great short smoke. Nice grabs.